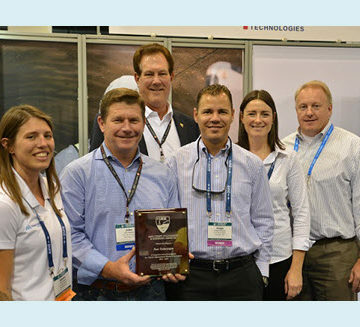 The Pure Technologies staff is recognized as a UESI Charter Organizational Member. 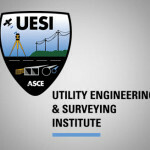 ASCE’s ninth and newest institute, the Utility Engineering and Surveying Institute, is about to celebrate its one-year anniversary, already more than 1,000 members strong. UESI offers professionals in the utility and pipelines engineering and surveying communities a means to collectively improve the profession. UESI’s stated vision is to be the worldwide leader in providing products and services that enable excellence in engineering, planning, design, construction, operation, and asset management for utility infrastructure and engineering surveying. Randall C. Hill, P.E., D.WRE, F.ASCE, along with a few other key leaders worked for nearly three years to help establish the institute. He was UESI’s guiding force as president through its inaugural year. Hill talked with ASCE News recently to offer his “state of the institute” address – discussing some of UESI’s early successes and the goals for year two. ASCE News: One year in, how are you feeling about UESI’s progress? Randy Hill: It’s great to see UESI so successful. We’ve accomplished many of our first-year goals and laid down a solid foundation for the future operations of UESI for years to come. As of the end of August, our membership is at 1,020 members. We have secured nearly 900 members who are also members of ASCE. We also have about 140 student members. So, we’ve been very pleased with our membership drive. We have seven charter organizational members – a business, an engineering firm, or a utility company that joins UESI. Those organizations are recognized as founding organizations and they receive certain benefits. Our goal at the end of two years is to have 15 organizational members on board. We’ve also established five UESI local chapters across the country. One is in Illinois, one is in Orange County, CA, and three are in Florida. Florida has been an area where there’s been a lot of excitement about what UESI is doing. ASCE News: UESI really is a combination of disciplines and engineering skills. How has the organizing process gone? Hill: We’ve focused our efforts on just getting to know each other as a Board and developing UESI foundational policies and procedures. When we first started operations, we had three primary divisions in place – the Pipelines Division, Surveying and Geomatics Division, and Utility Engineering Division. Since that time, we have developed a Utility and Risk Management Division and a Standards Division. We’re working on an Asset Management Division and hopefully this next year we’ll be able to secure a Construction Inspection Division. Those are the six divisions that we envisioned in our Vision 2025 document. We’ve developed and prepared a business plan, bylaws, and the Vision 2025 document, then presented these documents in advance of the ASCE Board of Direction’s approval for us to begin operating last year. Since that time, we’ve made additional modifications to our bylaws. We’ve also prepared a 35-page policies and procedures document that will give our division leaders and task leaders guidelines on how to operate under UESI. A group of UESI Board of Governors and Pipelines leaders gather at the recent Pipelines Conference. ASCE News: How do you develop that unity, bringing in people from diverse backgrounds into a single institute? Hill: I’ve been in the consulting and engineering business all of my career, and probably for the last 25 years I’ve been leading project teams in design and construction. Bringing the UESI Board of Governors together is very similar to bringing a project team together in the business. There are growing pains. It’s like any relationship that you have. You need to get to know each other. Everybody has strengths and weaknesses. So, nothing has been new in that respect. The Pipelines Division has been very successful. There’s a lot of pride of ownership there. We are a very active group. We have 800 to 1,000 people attend our annual Pipelines Conference. We just had our annual conference in Kansas City. The folks who attended saw multiple pieces of information about UESI. I gave a presentation at the annual awards luncheon on where we are in terms of progression, our membership, what we see in the future. ASCE members are excited about the idea of being a pipelines division within a new institute. When more ASCE members catch the vision of UESI, they acknowledge the new institute is a good thing. We’re doing the right thing for our profession. All of that is built into UESI. 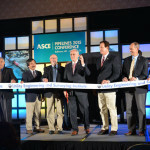 ASCE News: What can we look forward to from UESI in year two? Hill: During our second year, UESI’s focus will be continuing to drive the news about the new institute, our successes, and welcoming new members who see the benefits of networking professionally with others in the utility infrastructure and surveying and geomatics professions. In addition to the UESI Pipelines annual conference, the Surveying and Geomatics Division plans to hold its first conference in southern California in 2018. Our local and state chapters will grow as they embrace the vision of UESI, and we will add more organizational members to our charter members list. 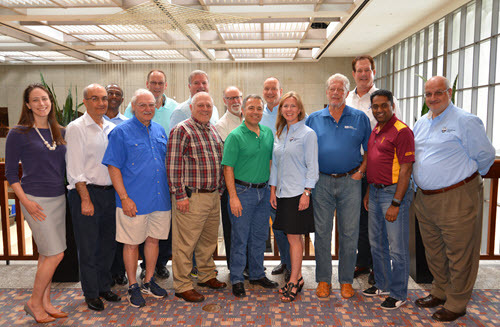 We will provide key informational updates to ASCE’s Technical Regional Board of Governors and the ASCE Board of Direction next year.